Ingram Micro is hiring Freshers for the post of Trainee Software Engineer 2015, Eligible candidate can apply online here as soon as possible (before link expires) for more details check below. 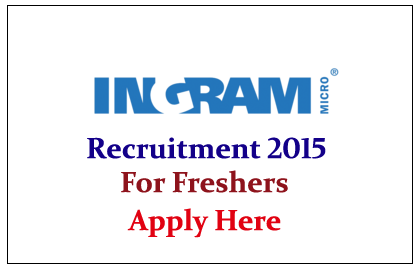 Ingram Micro is an American electronics company and information technology distributor. It is the world's largest wholesale technology products distributor. Ingram Micro distributes and markets a large variety of electronics which it sources from manufacturers such as Acer Inc., Apple, Cisco, Hewlett-Packard ("HP"), IBM, Lenovo, Microsoft, Samsung and others. The company ranks 62nd in the 2015 Fortune 500. It is headquartered in Santa Ana, California. Eligible Candidates can apply online as soon as possible through official notification.